Abby & Milo: School Daze! 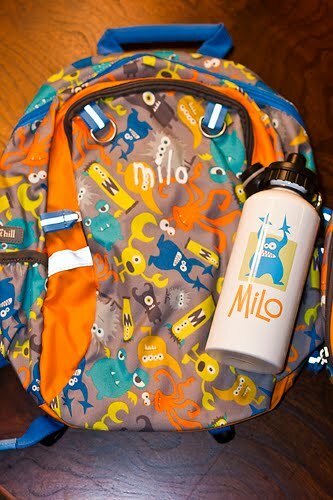 Milo will be starting PDO this year. I'm a half excited about it and half sad. He'll only be going two days a week but I still wonder sometimes if we should have waited another year. Because of where his birthday falls he'll be going into the 2 year old class even though he'll be 3 shortly after school starts. I'm perfectly ok with that, being more physically and emotionally developed will give him an advantage st least in the younger grades. 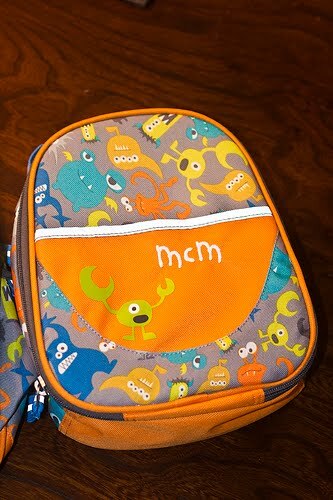 We got his backpack and lunch box in the other day! It's so cute I can't even stand it! Milo is very into monsters recently so when I found this one I knew it was the backpack for him, plus the lunch box came free with it so that didn't hurt either! Super cute!! Garnet Hill? I bet he'll do so great in school! Is it considered "pre-school" yet or still PDO? Collin's is considered preschool this year since he's older than 2 1/2, but the 2 years prior to this were considered "PDO." I am excited for them! Gosh they grow up too fast!! Too cute! I cannot believe that he's old enough for PDO. pretty good post. I lawful stumbled upon your blog and wanted to command that I get really enjoyed reading your blog posts. Any condition I’ ll be subscribing to your maintain and I hope you despatch again soon buy louboutin shoes.